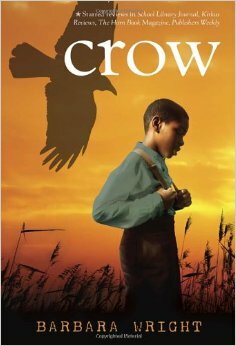 Background Reading for Teachers. By Bill Bigelow. 4 pages. A review of Freedom’s Unfinished Revolution, a collection of primary documents for high school on the Civil War and Reconstruction. Too often in teaching the Civil War and Reconstruction, my inclination has been to emphasize the enormous power that social elites and their allies have to subvert or suppress popular movements. 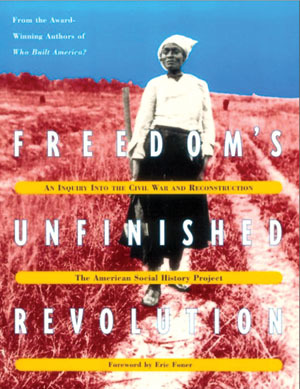 An important textbook/curriculum by the American Social History Project, Freedom’s Unfinished Revolution: An Inquiry Into the Civil War and Reconstruction, acknowledges this power—whether wielded by paternalistic white reformers, cynical presidents, or the KKK—but focuses on the efforts of African Americans themselves to gain their freedom. Its contribution is not so much in offering new scholarship, but rather in braiding together a collection of documents, photographs, and illustrations with a clear narrative that rivets our attention on the black struggle for justice. Activism of all kinds courses through its pages. 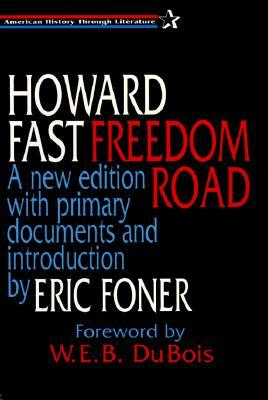 In contrast to typical textbook portrayals of a predominantly white abolition movement, credit here goes first to “the growing resistance of slaves themselves and the militancy of black and white abolitionists.” Later, in its descriptions of the Civil War, the book shows how enslaved African Americans were a powerful force in shifting the aims of the war from union to freedom. Despite Lincoln’s commitment to keep it a white man’s war, blacks—North and South—demanded the right to fight and, after they won that right, successfully fought for equal pay with white soldiers. In the South, enslaved people sabotaged plantations and ran away to Northern lines. Documents from numerous sources—novels, letters, speeches, congressional testimony, newspaper editorials—breathe life into the text and are accompanied by generally provocative discussion questions. 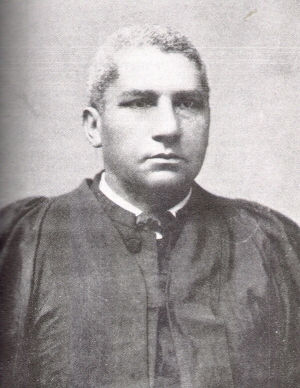 Sections on Reconstruction are especially effective. Where most high school texts organize chapters around the policy zigs and zags of Lincoln, then Andrew Johnson, then the Radical Republicans, et al., Freedom’s Unfinished Revolution focuses on the creativity and determination of people at the bottom. Ex-slaves destroyed cotton gins, refused to work in gangs under white overseers, demanded their own land, and in 1867 in South Carolina refused to pay taxes to the white planter-dominated government. Discarding the symbols of their enslavement, many rejected names forced upon them by slavemasters and took new ones. Casting aside drab garments of slavery, they wore new badges of freedom—brightly colored outerwear, fancy hats, ornate parasols, elegant veils. They held meetings without white permission, supervision, or presence—that is, without the probing eyes of a master or overseer. In everyday encounters, they challenged former masters, mistresses, and overseers. Such defiance was expressed in a variety of encounters—looking an exmaster straight in the eye, talking back to a plantation mistress, refusing to tip a hat or give way to whites on a sidewalk. In a world turned upside down, slaves found their defiance exhilarating. 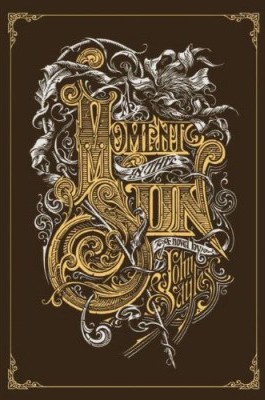 Book – Fiction. By Howard Fast. 1944. 294 pages. 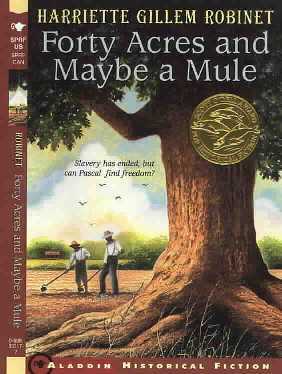 The politics and economics of Reconstruction told through memorable historical fiction. 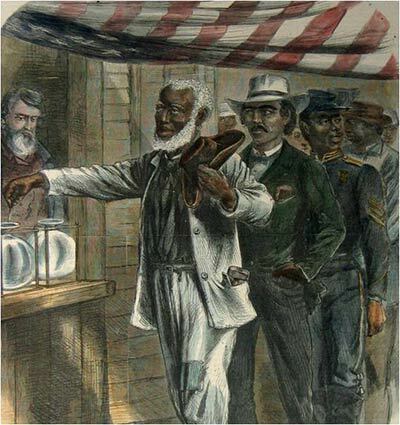 Henry McNeal Turner’s “Eligibility of Colored Members to Seats in the Georgia Legislature” (1868), read by Danny Glover. Reconstruction in New Orleans began in 1862, following Union occupation. Free people of color immediately organized for racial justice and equality. 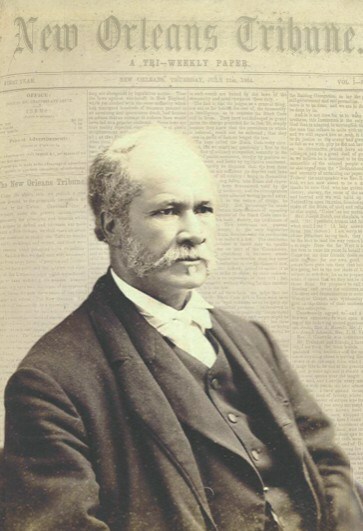 A radical movement coalesced around L’Union, the South’s first Black newspaper, and later the New Orleans Tribune, America’s first Black daily newspaper. I encourage followers of Zinn Education Project to learn more at http://www.facebook.com/roudanezhistory and at the website http://www.roudanez.com. Let us shine a bright light on a hidden history of resistance that had a huge impact on development of Reconstruction.